Hi-Rez Studios is celebrating today the first anniversary of the official launch of it’s action MOBA game SMITE. To commemorate last year’s release a host of promotions for SMITE on PC have been scheduled for the coming week, including all playable Gods being free over the coming weekend. From Saturday, March 28 to Sunday, March 29 all SMITE Gods will be free to use and all players earn worshippers at twice the normal rate, with bonus gems for winning. From today until end of day Friday, March 27, the Ultimate God Pack which features all current and future Gods has been reduced in price and will only cost €15.99 / £13.99 (from €23.99 / £ 20.99). Other rewards include Gem packs awarding bonus gems and pre-launch God skins will be 50% off. Hi-Rez Studios is also holding a Reddit AMA at 17:00 GMT/18:00 CET today, focusing on the upcoming Xbox One version of SMITE with Lead Producer Andy Anderson. 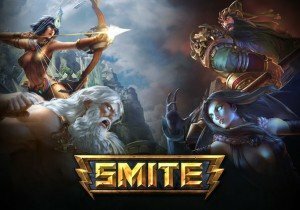 SMITE on Xbox One is currently in closed Alpha.